Ornamental grasses are those grown for their attractiveness rather than for their usefulness. These fancy types of grass have much to offer, acting as border plants, background plants to flowers and as simple centerpieces. There are a number of hardy ornamental grasses that can be cultivated with ease to add more texture to a garden. 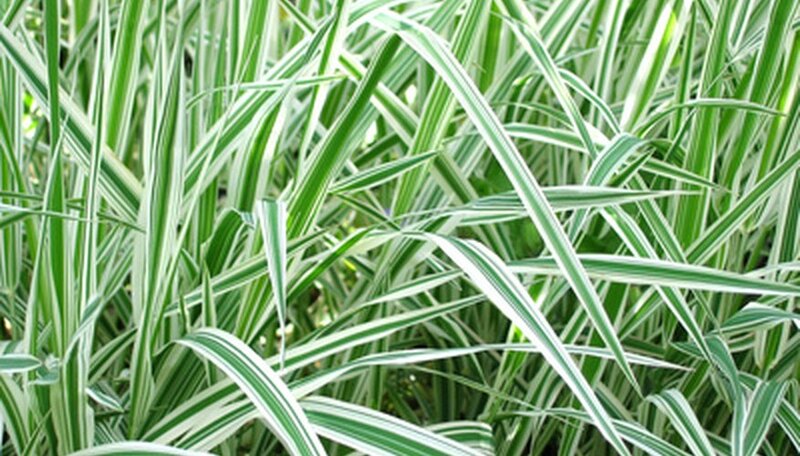 Boasting delicate, needle-thin blades in green and silvery gray colors, Mexican feather grass (Nassella tenuissima) is a wonderful clumping ornamental grass that can bring movement into the garden. The blades move at even the softest breeze, rippling the multicolored blades. Native to Mexico, New Mexico and Texas, Mexican feather grass is a highly drought-tolerant plant that grows well in full sunlight or partial shade. Soil should be loose and well drained. Zebra grass (Miscanthus sinensis 'Zebrinus') is a clumping grass that can grow to be 7 feet tall, boasting sharply pointed leaves that are horizontally striped with dark green and creamy yellow. The striking plant blooms in the summer until the fall with pale pink flower plumes, creating a distinct overall look. Zebra grass grows well in either full sun or partial sun. The grass isn't picky about soil and is quite drought-tolerant once established. Cold hardy and elegant, Chinese fountain grass (Pennisetum alopecuroides) is a clumping perennial grass native to Eastern Asia and Australia. The plant boasts thin, cascading blades and fluffy yellowish plumes. The vigorous grower does best in full sunlight, though it will tolerate some shade, and the plant isn't picky about soil. This ornamental grass can be invasive in some areas, so check an invasive species list before planting. What Are the Different Types of Ornamental Grasses? How Many Blades of Grass Are in a Square Foot?